At the heart of the Adirondacks is a special place that cherishes the history from generations of people in the region. Visitors from every walk of life can discover a story that inspires and connects them to the past of this amazing place. Intrepid explorers, pioneering industrialists, vibrant native cultures, and everyday triumphs in the wilderness can all be found within the walls of the Adirondack Experience, The Museum on Blue Mountain Lake. After the launch of their name change and the opening of a new feature exhibit, they struggled to gain the attention and attendance numbers they deserved. Paragraph was approached to develop a new brand platform that would reach a multi-faceted audience with a compelling call to visit. Inspired by our visit and informed by interviews with everyone from day-trippers to long-time board members, we uncovered a powerful way to communicate the breadth and impact of what the Adirondack Experience has to offer. Our core message calls visitors to Experience the Spirit by stepping into the lives and stories of this unique landscape. 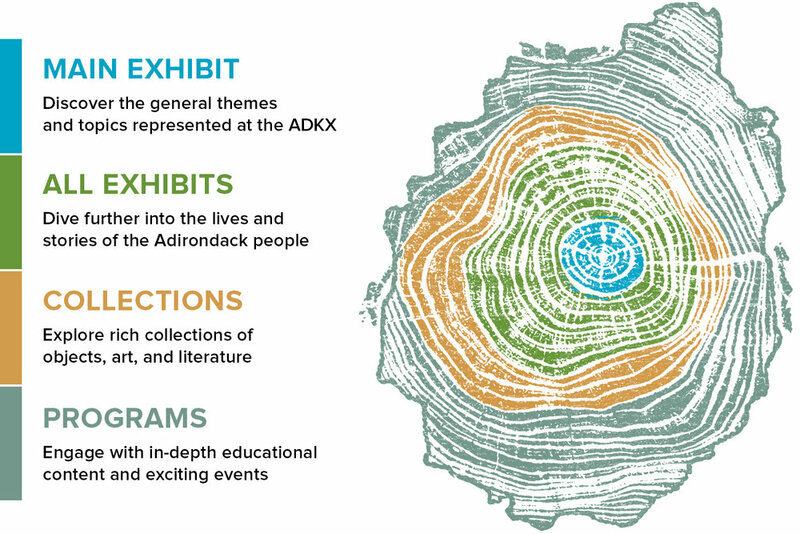 By connecting their collections, exhibitions, and activities to an enduring spirit of the wilderness we have drawn visitors from across the region to the Adirondack Experience. Implementing this approach across print, digital, and social media has established a strong platform for future growth and success. Mapping the richness of what the ADKX has to offer enabled us to identify different levels of engagement. Whether it’s showcasing the core exhibit for first-time visitors or promoting specific events and activities to park locals there’s something for everyone to experience and enjoy. We’re inviting visitors from Montreal to NYC and everywhere in-between to discover an Adirondack story that speaks to them. A comprehensive print and digital media plan serves as a strong foundation for the entire season of marketing needs.